Henderson Lacrosse Club requests fields for all Henderson teams. 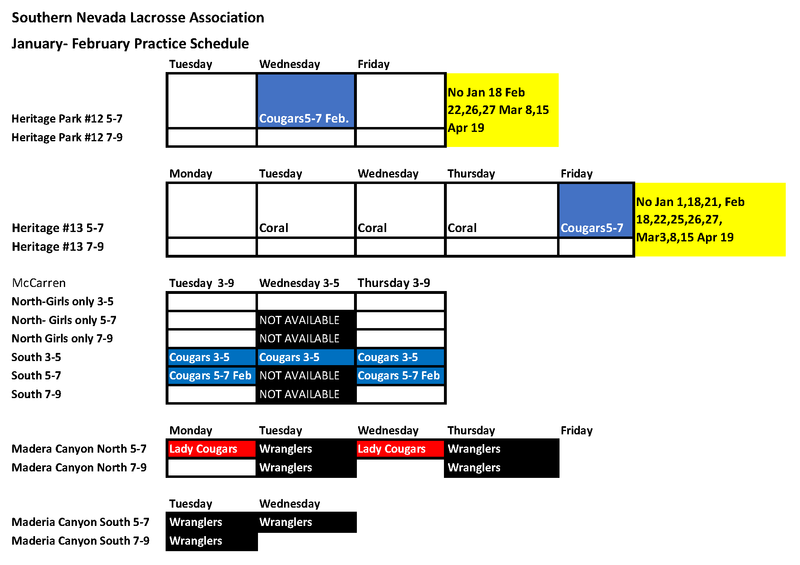 Below you will find the practice calendars with details on available and currently booked fields. For cancelations, changes or light issues call Theresa Rasmussen at or text 702-804-9412.